I have been working on a lot of little things lately and they are so enriching my life. First up let me tell you about the "Quilt for Aneela." Fabric fans will know that Aneela Hoey is the designer of the "Sherbet Pips" line as well as numerous other adorable fabric lines including "Sew Stitchy" and "Little Apples" and more. Her most recent line is "Hello Petal." Aneela posted on her Instagram feed on Wednesday that she has been diagnosed with breast cancer and is going in for surgery. 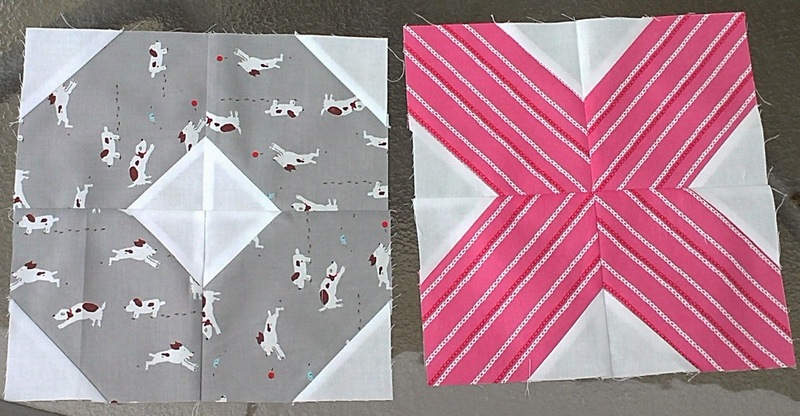 Chelsea of Pins and Bobbins is organizing quilters in sewing a Quilt for Aneela. Here are my two blocks ready to go in the mail. Last weekend I took two little Moda candies that I'd had sitting around for months and sewed them into nine patch squares. One was Fig Tree's "Avalon" and one was Bonnie and Camille's "Scrumptious". 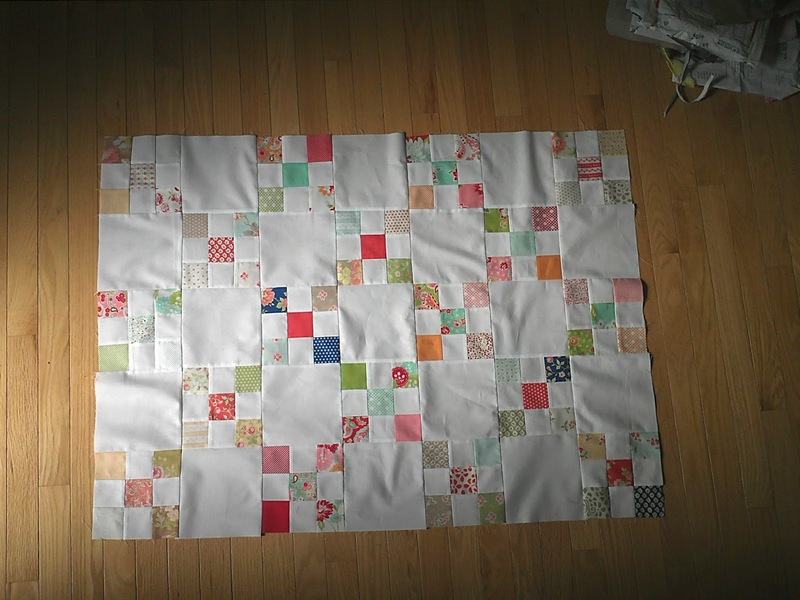 I also sewed together a Briar Rose sixteen patch baby quilt and it's ready for binding in the above photo. I am volunteering teaching two fellow military wives to quilt using this quilt at our local Military Family Resource Centre. I am finding it so rewarding teaching others to quilt! I am already planning a more in depth project to teach in the fall. This is our vegetable garden. It is not such a "little thing" but it has lots of little things growing in it. 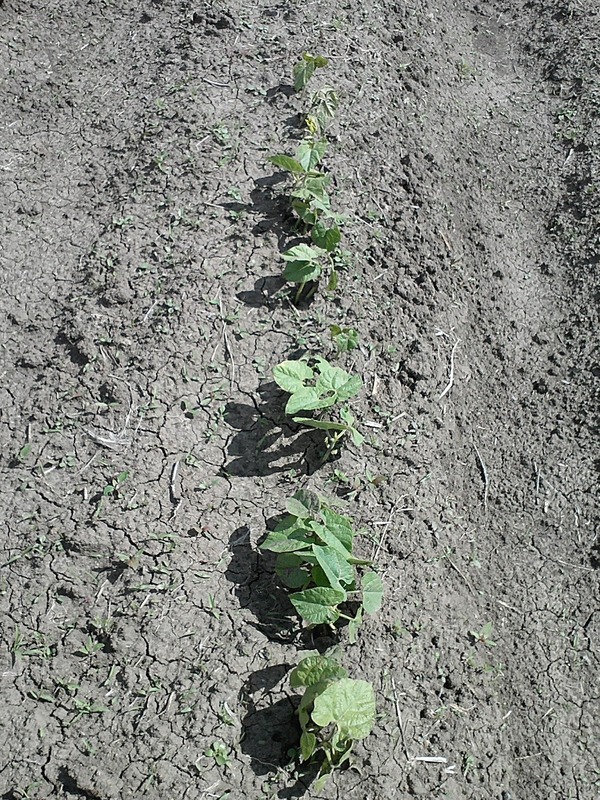 Here are some of the bean plants. 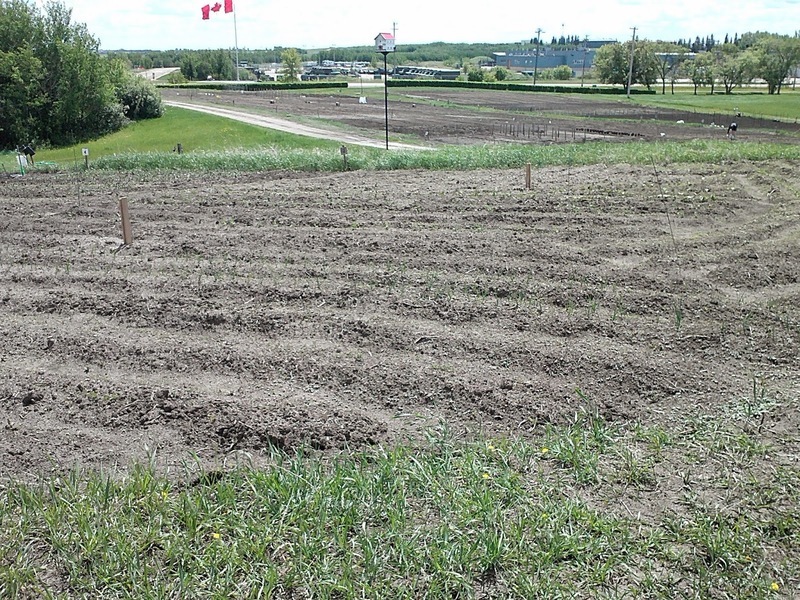 I cannot wait for fresh peas, beans, carrots, potatoes and more to come from this garden. My husband has been working on this harder than I am I have to admit. 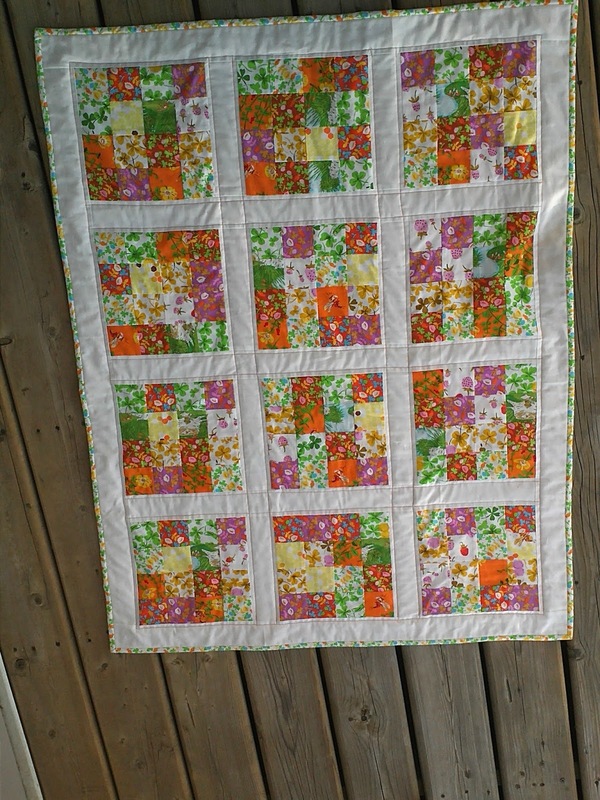 This is the quilt made with the nine patch blocks from the Moda candies sewn together. 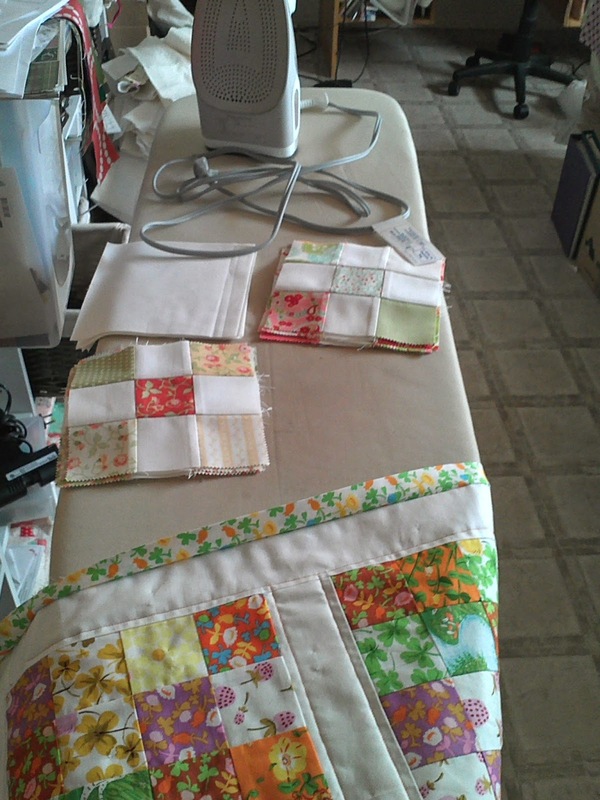 I had to make two extra nine patch squares from scraps I had. I polled my Instagram followers on what I should do about borders so I will be implementing a border plan this weekend. 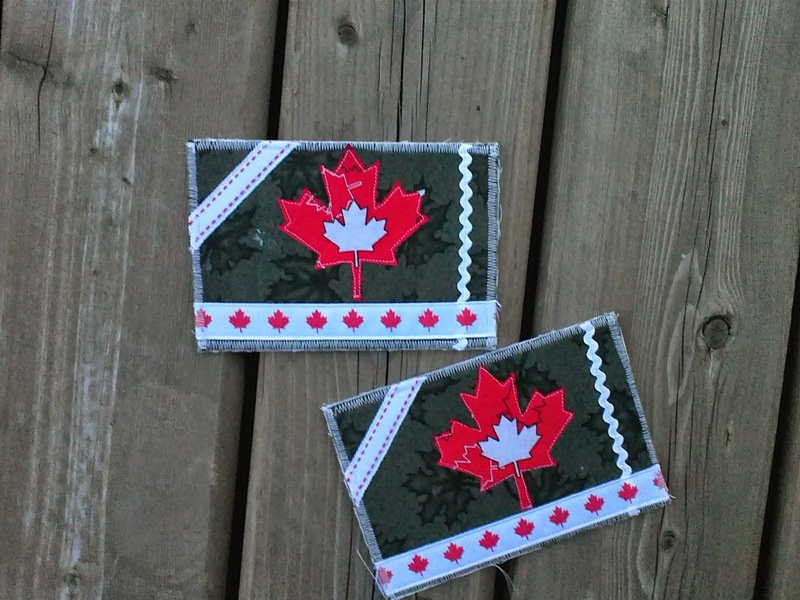 I also plan to sew a pair of shorts and another Quilt of Valour Swoon block this weekend. Oh, and teacher gifts! Wish me luck!